Open-road adventurers should include unique places to stay as part of the travel experience. One of the more unusual lodgings is the Red Caboose Motel, located about an hour’s drive from Philadelphia in Ronks, Pa. 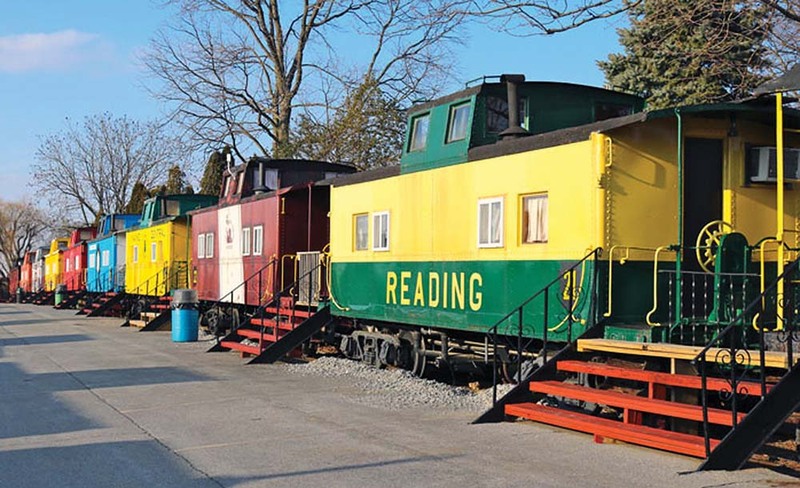 The establishment consists of 38 brightly colored cabooses that were once the property of the Pennsylvania Railroad. Each has own inviting interior design and a few have been outfitted with original-style bunk beds, just like the train crews used to sleep in. There’s even a railroad dining car that serves as the motel’s restaurant. The gift shop also sells model train sets and various train memorabilia. You can reserve your room through one of the many online booking sites such as www.expedia.com or by contacting the motel via www.redcaboosemotel.com.